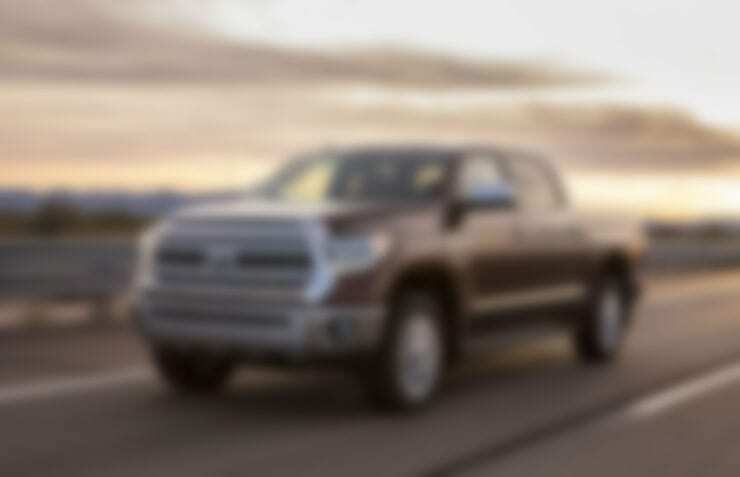 With the news of just a double cab version of the 2020 Tundra TRD PRO being offered, we can now set our sights on the more probable introduction of a new 2021 Toyota Tundra coming soon. 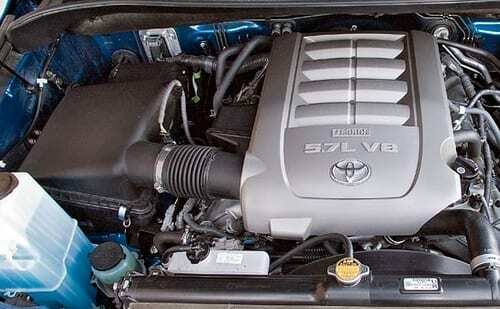 Here are our top expectations based on interviews with Toyota engineers. The Toyota Tundra has been a stable truck offering for the company returning on average 10,000 sales a month. 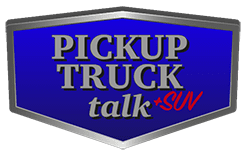 Considering it is now the oldest full-size pickup on the market, it is actually pretty notable on how it is maintaining a consistent seller. A consistent seller is one thing, a true challenger in the half-ton market is another. While Toyota openly admits challenging Ford, GM or Ram isn’t a target for them, they do plan to improve sales above and beyond the 10k a month especially with new production capacity coming soon. This means, we should expect to see some significant changes to the Tundra to be more competitive. In the above video interview from our trip to Japan, it is easy to surmise Toyota is planning on improving their powertrain options in the Tundra beyond the 5.7L V8 and 6-speed automatic transmission. What will be the new powertrain? 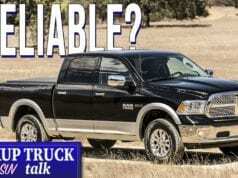 First, it is very likely the 5.7L V8 isn’t going anywhere since Chief Engineer Mike Sweers, and key decision maker on the pickup, explains they still want to offer a powerful engine for customers who need the torque. Second, it is really hard to improve fuel economy in a full-size pickup without making another powertrain option besides the V8. Sweers is no real fan of turbocharged engines and battery electric vehicles. This leads to only one real choice left and that is a hybrid powertrain likely borrowed from Lexus. Third, the 6-speed automatic will likely be swapped out for an 8-speed allowing for better fuel economy for the V8 and a hybrid powertrain. Toyota already offers this transmission in the large Land Cruiser. While the Land Cruiser’s transmission was setup to improve the off-the-line towing performance, we would suspect the Tundra would be for fuel economy since the 410 lbs-ft of torque from the V8 already performs well when towing for a full-size pickup. What about a diesel or heavy-duty offering? Still no. Another obvious place for changes will come for exterior and interior styling. 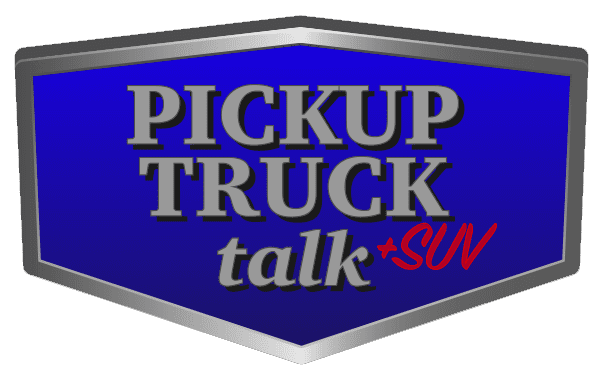 Sweers mentions his customers love the exterior styling of the current-gen Tundra, so we wouldn’t expect a radically new exterior, however, we could see a new grille and a functional air vent to help with engine cooling under load. This would make sense with a new 8-speed setup for fuel economy, the powertrain will likely create more heat and better airflow into the engine bay is a simple way to disperse that heat. 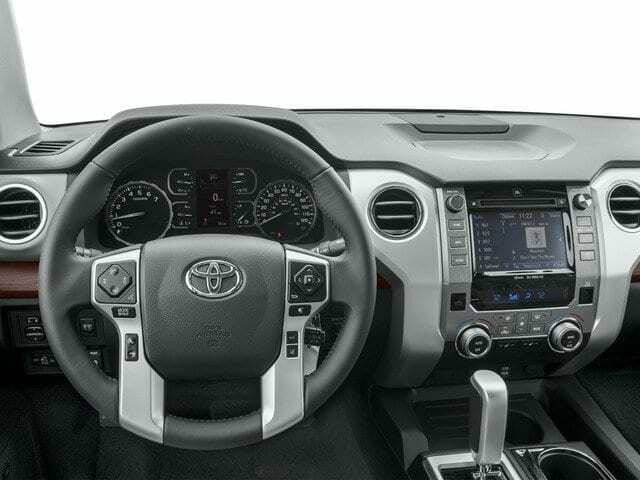 Inside the cabin, the Tundra will likely see a host of changes to the instrument panel with larger driver-information screens and a larger infotainment screen option also makes sense with the current competition heading that direction (see: Ram 1500’s massive screen). Toyota designers will also likely take another look at the materials for the Limited and 1794 to bring up them up to par with competitors who are putting increasingly more expensive and luxurious materials inside the cabin. We don’t expect Toyota to switch the rear seats back to the slide and recline, however, we do hope they make changes to the amount of storage options in the rear with new storage bins or hooks on the backside of the seats for grocery bag or other bag holders. 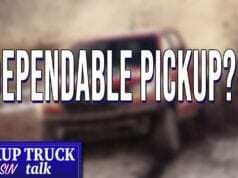 What about new technology like towing assist systems, cell-phone apps, trailer back up assist? Probably not a lot. Here’s why. The simple truth is Sweers has long questioned the reasoning behind these systems. He sees many of them as creating a solution to a non-existent problem. 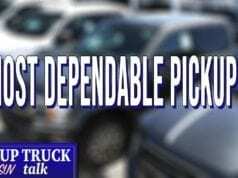 This is especially the case with Ford’s trailer back-up assist. This doesn’t mean new technology like Chevy’s towing apps with the ability to keep track of your trailer’s maintenance and tires as well as checking your lights shouldn’t be a high possibility. Those are really smart innovations and Sweers is likely going to sit back and cherry pick the best ones for his pickup. 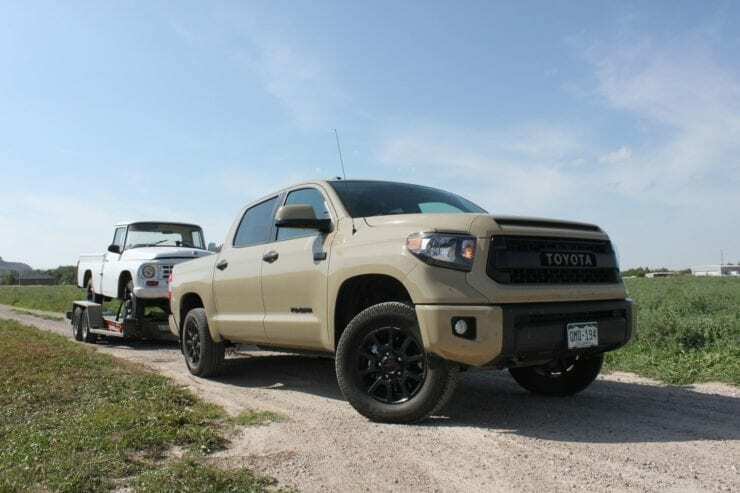 Finally, with the arrival of Apple Carplay, Android Auto and Amazon Alexa in other 2020 Toyota TRD PRO models, we can expect to see all Toyota Tundra models getting access to these in the future. We would also hope to see push-button start replacing the key for all models moving forward. While our list of expectations will dose the flames on some Toyota fans, it is really more about practical, conservative upgrades for the 2021 Toyota Tundra. If our bet is right, you will see it unveiled at the 2020 Chicago Auto Show and on dealers lots in the fall of 2020. I sure hope even if they add another type of motor that they have a V8 option and not the same exact one I have now. It seems from the video that we should get one as it seems Sweers values the V8. That said, the same exact motor, carried over with the same 13 city and 381/401 numbers won’t cut it in 2021 and beyond. If we keep the 13 city fine, but I need over 400hp and 425 lbs then to go with it. I would like more power and a little better MPG when we get to 2021 and beyond, after all the 13 city 381/401 is from 2007. That and the on-road unloaded ride of the platinum needs to improve, its way to bouncy for a non off road model. I have to add sandbags to calm the axle hop. I’m being conservative on my upgrade list for certain and while they could add a new V8, I could also see them just making some upgrades to the existing block. I think for fuel economy, the 8-speed transmission and weight loss through new lighter steels already used by competitors is the likely path. Yeah, axle hop is still a concern for many. I think dropping the weight will help with balancing the ride. So, Akio tells MS to give the client’s what the want, and yet they don’t get what they want. With these very selective updates, what kind of message does that send? Is Toyota really committed to the future of the Tundra or is it waning? Other way around. MS goes to an executive council and asks for funding for new R&D for Tundra. Council provides the funding. With Toyota’s investment in building truck plants, they are committed to the Tundra albeit without a measured investment in updates. Can you site your source? R&D is one thing, see it through is another. As with any auto manufacturer, significant changes bring quality problems. So, it will be surprising to see Toyota take big leap such as this. My source is Mike Sweers himself. He has told me about the process several times. Also, I asked him directly about the Tundra and how it seems like Toyota is much more invested in the Tacoma than the Tundra. It is in the video interview I embedded in this post. Myself and Truck Enthusiasts will believe it when they’re for sale on dealer lots. The mistake made be “protecting QDR” with incremental updates is competitor’s more significant changes move them further forward. Now, for the Tundra to catch up, it’ll have to be all new with significant changes and with that, they’ll be no “protecting of QDR”. Hmm, do we have a paradox? I don’t think Toyota feels like they are very behind. They have zero plans to chase the volume of the Big 3 and they have no plans to take a lot of chances with new designs and features. They like their truck just the way it is IMO.